How 'bout we don't waste any time. I know you want to get the move on so you can make yourself a batch of these little wonders. And let’s just say that these little chocolate chip cookies pack some serious Prana. They are a modification from the classic chocolate chip cookie. I took a tried and true concoction, made a few tweakaroos, and here’s what we got: a delicious healing madhu of all madhu (that means sweet of all sweets) to ground and nourish you… just in case you wouldn't otherwise make it through the winter. I wouldn't let that happen to you. Okay, so on with the delish. Inspired by my deep devotion to keeping it sweet and seasonally balancing. 2. Melt 2 sticks of butter in a sauce pan over medium low heat. This is the process of making ghee. You can learn all about it here. For this recipe, make the ghee and when you think it is done, you're going to go just a little longer… Pay extra close attention to the butter solids that are on the bottom of the saucepan -- as soon as they start to shift from golden to dark golden, remove promptly from heat and pour the ghee into a new bowl to make sure it does not continue cooking (and burn). This is super important. If it burns you'll have to start over (no pressure - and remember when you make ghee you want to be infusing it with only good things… no stress, no fear, no TV or news… just LUV). P.S. *Ayurveda is the sister science of Yoga. It complements asana practice, meditation, and pranayama by increasing one’s awareness and application of yogic principles in the real world, and particularly in the kitchen. 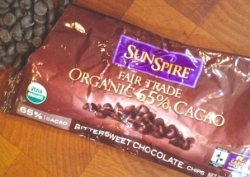 Here are some ways in which this cookie is powerfully good for you…. Ghee (here's a previous blog on how to make it) -- soothing, nourishing, lubricating, and very sattvic (harmonizing). It is one of the most potent healing balms and carriers for goodness in the ayurvedic tradition. Cardamom is a very useful and effective herb. It enhances appetite, provides detoxification support, and helps with data related digestive issues such as gas , stomach cramps or acidity. It is also supportive in the relief of respiratory conditions often associated with winter weather. Himalayan Salt is considered to be one of the most superior salts available, and is systemically warming, sattvic and is said to promote a positive attitude and purity of mind. Why Spelt Flour? 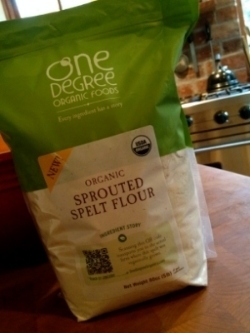 Although not principally ayurvedic, the above chosen spelt flour, being both sprouted (more prana/life force rich) rather than your contemporary wheat flour, allows the body to take a little break from processed flour with high levels of gluten. Although spelt does have gluten, studies suggest that it may be appropriate for those who are only moderately gluten sensitive. Okay, now go make some cookies! and don't forget to sign up for the BloomLetter at BrittBSteele.com to receive future recipes and yogic support.